What’s Your Foundation Telling You? Here at Foundation Solutions 360, we focus our services on everything that will benefit your home’s foundation. Our foundation repairs are geared toward ensuring that your home is resting upon solid ground. After all, when you have a sinking or cracking foundation, your entire home is at risk for severe damage. If the walls in your home are leaning, bowing, or cracking, or you notice that the chimney is not quite where it used to be, your foundation is signaling to you that there is a problem. Odds are good that once you see these major signs of foundation issues, you will need to call in the pros for help with foundation repairs. Many foundation issues will start small, with cracks or a slight grade in the floor. However, over time, the problems will get bigger and more noticeable. You might start to notice larger cracks in the drywall and windows and doors that don’t open or close properly. Further down the line, walls will start to noticeably lean and the chimney may shift. These problems aren’t just aesthetic — they are indicative of a major safety problem, as your foundation can no longer support the weight of your home. Keep your home – and your family – safe; hire a highly-trained and experienced professional to reliably assess and correct your foundation problems. Our foundation repair service will fix these problems efficiently and effectivity. 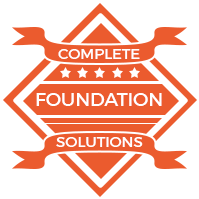 Uniquely qualified to offer a custom-tailored solution that works best for you, Foundation Solutions 360 is confident that we can fix any issue, large or small. We are the Macomb foundation repair pros, offering our services across the entire state of Michigan. Most foundation problems can be boiled down to one thing — water. Every year, as seasons change and the temperature fluctuates, the soil underneath your home expands and contracts. Over time, if this process happens unevenly, your foundation can be exposed to stress it wasn’t designed to endure. Not only that, but when moisture invades your foundation via cracks and crevices, it can lead to severe damage. Once water works its way into the actual foundation and the temperatures drop leading to a freeze, the water will expand causing your foundation to crack further. Each time the water freezes and thaws, more water will seep into your further cracking foundation, leading to long-term damages. The longer you leave a cracking foundation unattended, the worse the issue will become, eventually putting your entire home’s structure at risk. Poor Construction: If your home’s foundation was put together shoddily, you can wind up with serious issues down the road. A home’s foundation is a vital aspect to the rest of the construction and if it was not built properly, you can start to see the signs early in the life of your home. Plumbing Leaks: When a pipe is leaking or a water line breaks, it can severely damage your home’s foundation. Make sure that you handle any water leaks in a timely fashion to prevent long term damage from occurring. If a pipe has been slowly leaking for years, it is wise to have your foundation inspected for issues. Natural Causes: Your home’s foundation can also be damaged by nature itself. If the soil in your area is shifting or settling unevenly, it can put stress on your foundation, leading to cracks and crevices. These can then lead to further damages when water invades. These are just a few of the reasons your home’s foundation might be in need of repairs. The best thing to do when you are worried about the condition of your home’s foundation is to call in our team for an inspection. We can assess the health of your foundation and share with you the repair options available. As your trusted experts in foundations, we are here to help you find the right solution for your needs. One of the biggest risks to your home’s foundation is cracking. As explained above, the danger of cracks is that they allow moisture to invade your foundation, leading to further cracking during the cold winter months. The more cracks and crevices that form, the less support your foundation provides for your home. This can cause the entire structure to be at risk. Not only will moisture that invades your foundation lead to further cracking, but it will also lead to mold and mildew growth. As moisture seeps into your home’s structure, harmful molds will take hold. This mold can be damaging to your health and damaging to the structure of your home. Mold will continue to spread and can find its way into your crawlspace or basement. Your foundation really is where it all begins, which is why attending to any cracks in a timely fashion is a must. 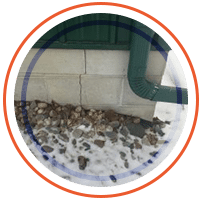 Whether your foundation is cracking due to shrinkage after it was initially poured or it is due to a shift in the soil around your home, we can help you address this issue with appropriate repairs. Not only can your actual foundation slab crack or deteriorate, other components of your foundation can also be damaged by the shifting of soil around your home. Shifting can cause large amounts of pressure to be placed on the walls at the base of your home. Over time, the walls can start to buckle under the pressure, leading to bowing or leaning walls. If you notice that your basement or crawlspace walls are starting to lean, it is important to take action right away. As the walls lean and bow, they will cease to function the way they should. 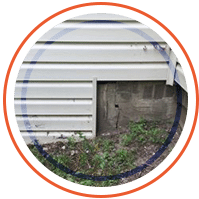 These base walls are intended to keep your home’s structure in place, but when they are compromised, they can no longer do so. Eventually, you will notice that your home’s entire structure is suffering. The moment you notice a wall in your basement or crawlspace that is shifting, call in the pros for a thorough inspection. Another common issue that Michigan home’s face are sinking foundations. Sinking foundations are a result of problematic soil. If the soil your home was built upon shifts or sinks, your foundation can be put at risk. 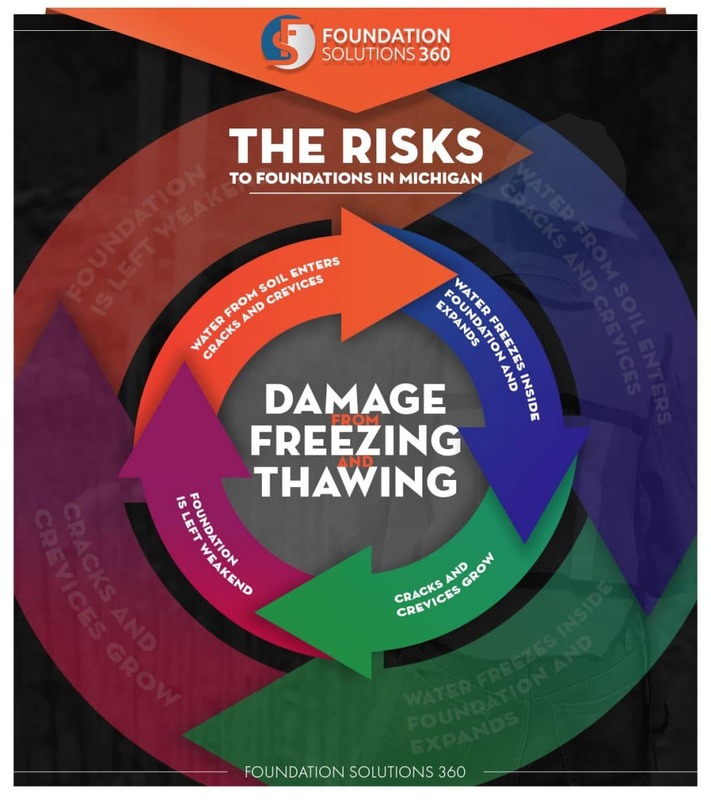 Another common cause of shifting soil is due to the freeze-thaw cycles of Michigan. When the soil expands and contracts unevenly, your foundation can be put under uneven pressure. As your foundation starts to sink, it can do so unevenly, which can cause floors inside your home to be unbalanced or tilted at a slight angle. If you have noticed that your floors are no longer perfectly flat or even, it could be due to a sinking foundation. Sinking foundations can also cause other issues, such as major cracking or crumbling at the base of the foundation. In most cases, sinking foundation issues occur on older homes, which were not built to today’s standards. Prior to strict codes being enforced, many home builders didn’t take into consideration the type of soil they were building upon and did not mitigate soil issues properly. If you are worried that your home’s foundation might be sinking, be sure you contact our team for assistance. We can inspect your home and determine if a sinking foundation is your issue, as well as offer you the solutions available to alleviate the problem. Here at Foundation Solutions 360, we offer an array of options for repairing a damaged foundation. Depending upon the issue at hand, we may utilize any of the following remedies. 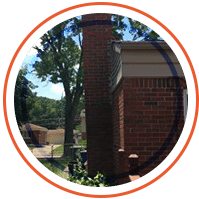 For more information about our foundation repairs in Macomb or across the state of Michigan, don’t hesitate to reach out to our team. We are available 24 hours a day, seven days a week. We understand that when disaster strikes your home’s foundation, you need assistance right away. For foundations that are cracking, we utilize a method called low-pressure injection. This injection process will slowly fill existing cracks with either epoxy or polyurethane foam. The material employed will depend upon the cracks themselves. If the damages are structural, you need a strong material, which means epoxy is your best choice. If the cracking has not damaged the actual structure and the filling is only to prevent further water damage, you can utilize polyurethane foam. 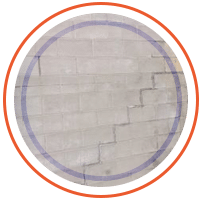 We will take the time to assess your specific foundation cracks and offer you advice on the best course of action for filling these cracks. 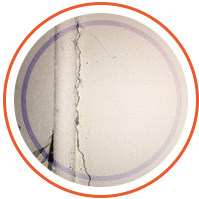 By filling in the cracks and crevices, you can ensure that your foundation is protected against further water invasion and increased cracking. If your foundation issue includes leaning or bowing walls, we can assist through the installation of wall anchors or wall beams. Wall anchors are installed directly into the soil and we utilize these strong anchor points to actually straighten your walls back into place. Wall anchors are an extremely effective method for repairing bowing walls and can be installed in as little as one day’s time. They require minimal excavation and will help ensure your walls remain straight for years to come. For homes where digging outside is not an option, a wall beam can be the right solution. Wall beams will slowly correct wall movement and will provide long-term stability. They apply a consistent amount of pressure, prevent further bowing or leaning and slowly correct any existing damage. We can work with you to determine which of these solutions is ideal for your home. Either way, we can ensure that you are left with a stable structure and an improved value to your home. Talk to us today about your home’s bowing or leaning walls. When it comes to a sinking or settling foundation, the damages can be severe and timely action is important. 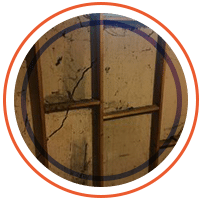 When you leave a sinking foundation unrepaired for too long, it can cause your entire home’s structure to shift, sink, crack, and rapidly deteriorate. One solution for sinking foundations is the installation of helical piers. These piers will be installed around your home’s foundation, providing a stable anchor of sorts. These piers will allow you to straighten your foundation and prevent further sinking. As is true with all foundation repairs, the right solution will be specific to what damages have already occurred. In some cases, a combination of foundation repair options will be necessary. If you are in need of any of the above foundation repairs in Macomb or across Michigan, please reach out to our expert team for a no-obligation assessment. If you have a foundation that is deteriorating, it is time to call in the pros for help. Ignoring your foundation is the worst thing you can do, as the problems will only worsen with time and the repairs will become increasingly costly. If you have been putting off foundation repairs because you are worried about what might lie beneath your home, put your fears to rest with a thorough inspection by our team. We can quickly assess what damages have already occurred and help prevent future damages down the road. While you may fear knowing what is wrong, it is far worse to procrastinate an inspection and wait until your entire home’s structure is at risk. Structural stability: Do you want to keep your family safe? Foundation repairs will ensure that you and your loved ones are protected by stabilizing your home. Increased resale value: Whether you plan to sell your home soon or well into the future, you can improve the resale value of your property by repairing the foundation. Future buyers will want a home that is resting upon solid ground. Saved money: When you let your foundation deteriorate, you can wind up spending a bundle on secondary repairs. By fixing the root of the issue, you can save money in the long run. Longevity of your home: A crumbling foundation will eventually lead to a crumbling home. When you repair your foundation, you are ensuring that your home will remain a livable structure well into the future. Contact Foundation Solutions 360 today to get started with your foundation repair — and don’t forget to ask about our free, no-obligation inspections! We look forward to ensuring that you and your family are safe and secure in your newly repaired home. If you are trying to determine who you should work with, we invite you to check out the reasons why our team is the perfect choice. We are proud to provide premium quality foundation repairs in Macomb and across the entire state of Michigan. Our team looks forward to meeting you and putting your home back on solid ground. 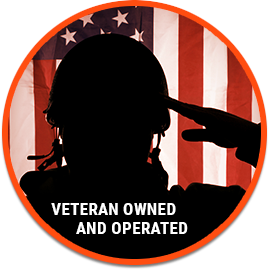 One of the reasons you should choose Foundation Solutions 360 for your needs is because we are a veteran owned and operated company. This means that we have the discipline and hard working attitude required to get the job done. Foundation work is no simple task and it requires a team of people who won’t stop until the solution is discovered. You can count on us to deliver quality workmanship on every project. Did you know that we back our work with a lifetime transferable warranty? This means that not only can you enjoy the peace of mind from our foundation solutions but so can anyone who purchases your home down the road. This brings added value to your property, improving the home’s resale potential. Talk to us about how our lifetime transferable warranty works. Not only do we provide the above outlined foundation repairs, but we also offer a variety of other solutions. When you choose to work with our team, you are choosing a company equipped to handle all the repairs your home might need to stand on solid ground. 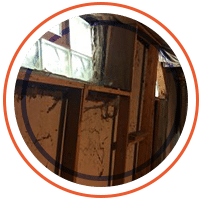 For example, if you have a crawl space that is water damaged, growing mold, or structurally unsound, we can assist you with repairs and encapsulation. Perhaps you have a basement that is penetrated by water and has become a home to mold and pests. We can work with you to waterproof your basement and leave you with a usable space. Whatever issues the underside of your home is facing, we can work with you to find the appropriate solution. If you are in need of foundation repairs in Macomb or across the state of Michigan, we hope you will reach out to our team today to learn more about how we can help. We will be happy to provide you with an inspection of your property and a no-obligation quote on repairs. Our team is dedicated to ensuring that every Michigan homeowner can rest assured that their home is standing on solid ground. Don’t put off repairs any longer, reach out today for repair services. Contact Foundation Solutions 360 today to get started with your foundation repair — and don’t forget to ask about our free, no-obligation inspections!